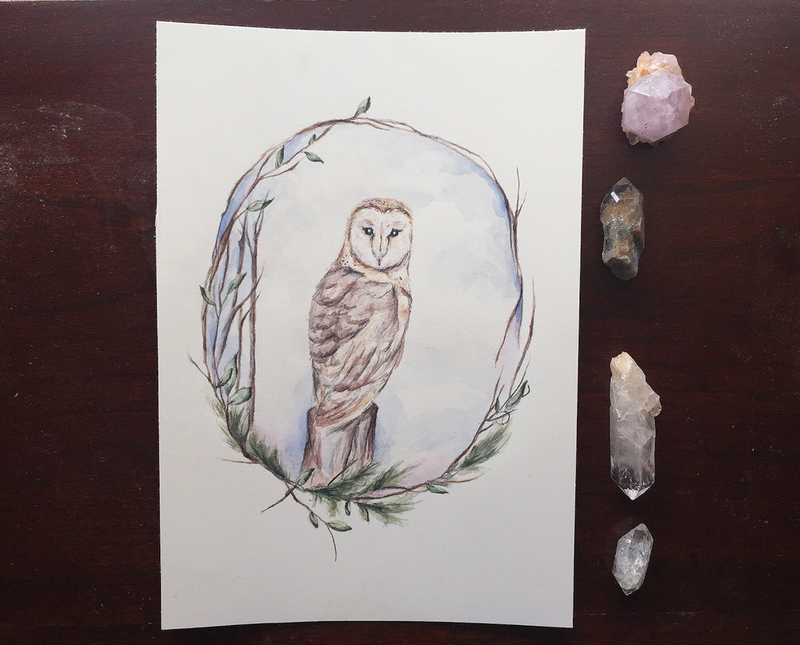 In the following illustrations, artist Cristina Rose shares her belief that painting can be a portal into connection with the natural world. ARTIST'S STATEMENT: I’m a self-taught artist born & raised in Los Angeles, California. As a child, my company was made of up books, paper + pencil, & an observant nature that encompassed the magic and mystery of the natural realm. I escaped the city through artwork. As the years passed I realized that my life-long bond with the environment was no passing phase. As I become cognizant of the plight of the environment I became more determined to surround myself with it, as well as becoming involved with activism. My paintings have a general tie to the natural realm. It is not a choice but an intrinsic drive: a muse. Whether it is evoked from myth, a trip outside of the city, or my dreams, I want to document the wilderness and through my paintings I hope to inspire others to venture out into nature to embark on adventures and discover why it is so important to preserve the wild.